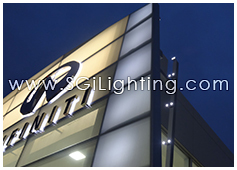 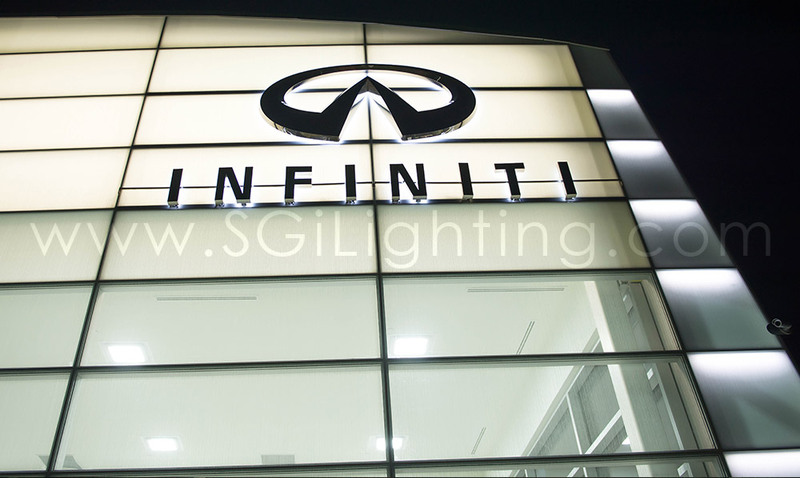 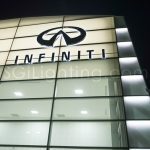 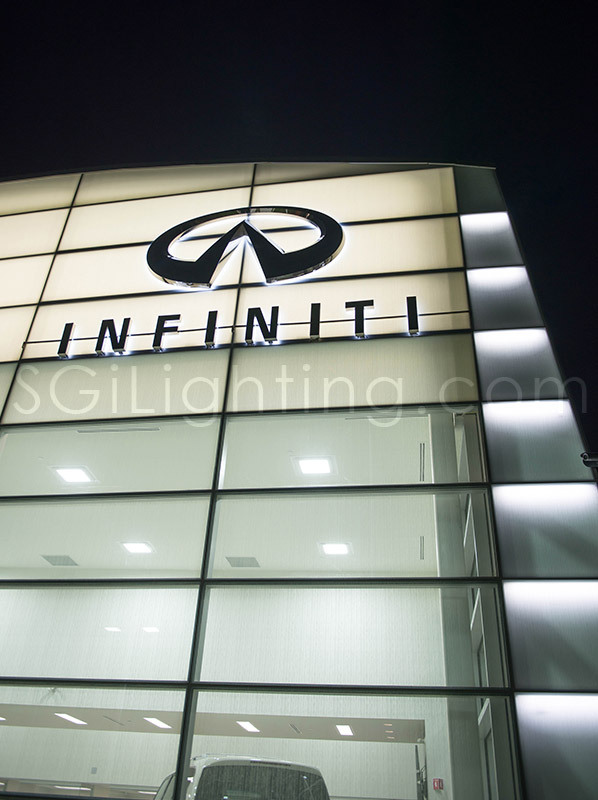 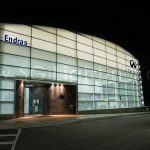 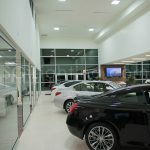 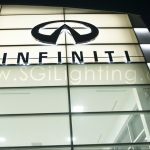 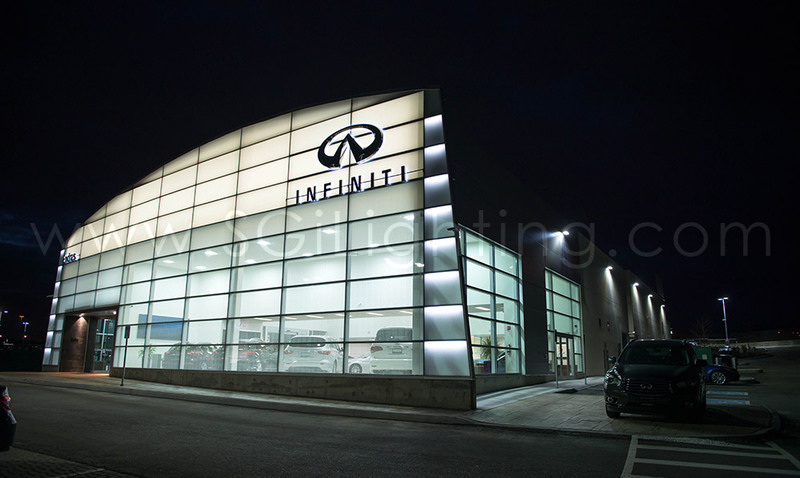 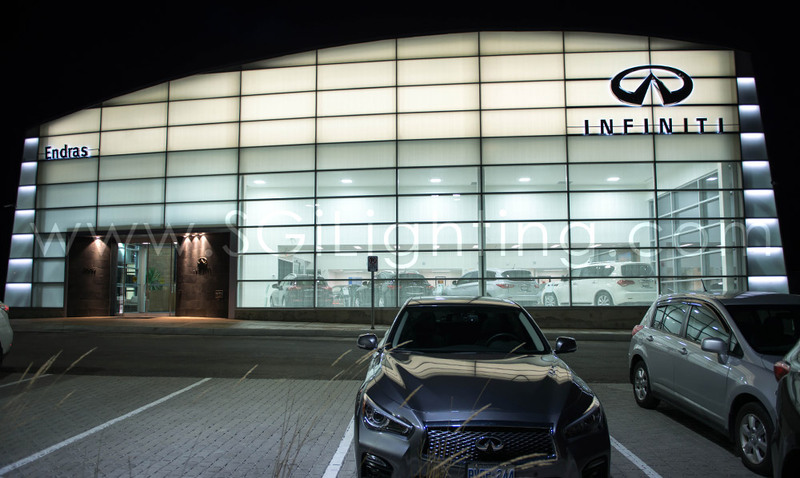 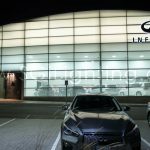 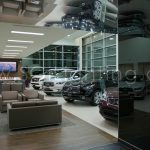 An impressive building facade like the Infiniti dealerships demand quality illumination, which our LED lights provide. 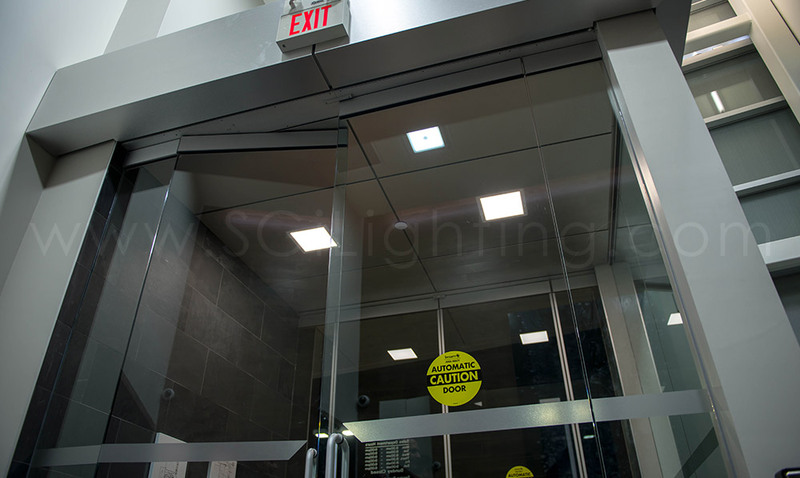 Our UltraBright Flex lights, paired with an angled extrusion provide a sharp illuminated feature on the side wings of the building. 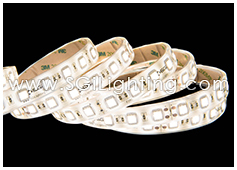 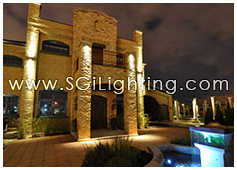 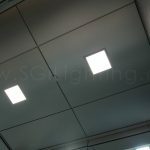 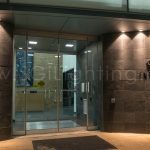 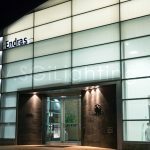 A professional looking Neutral White colour temperature compliments and ties together the other light colours seen on the building. 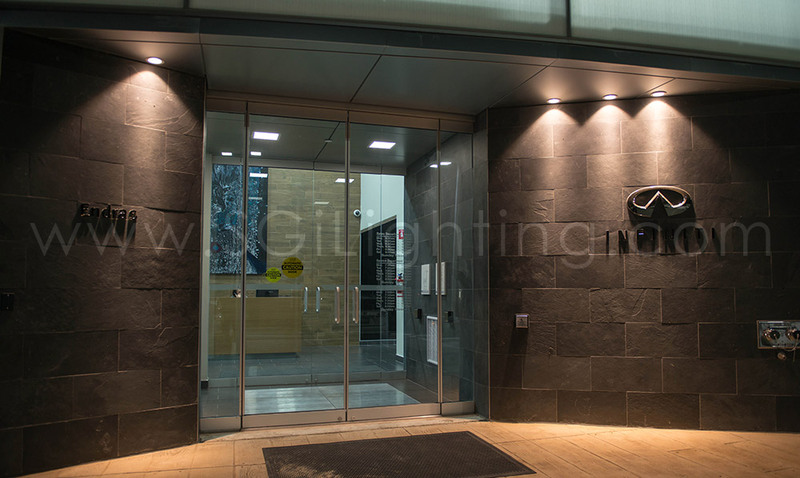 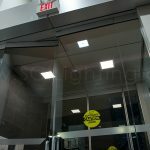 Super bright and low-profile, our LED Flex lights provide excellent illumination as a hidden light source. 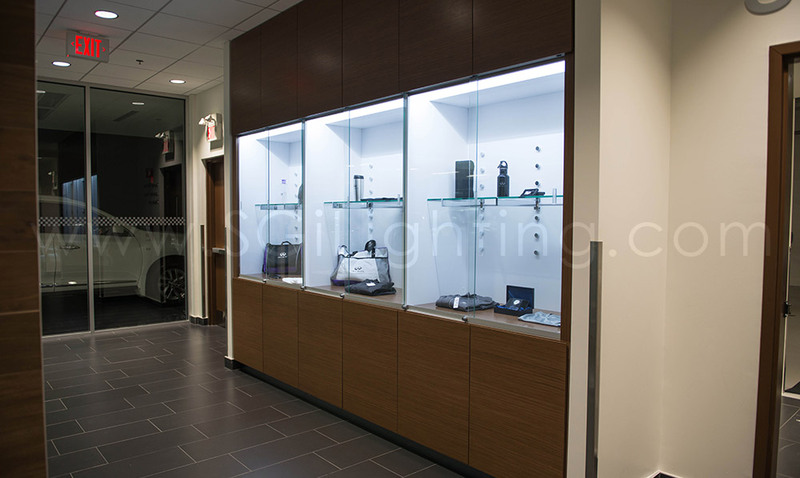 A Neutral White colour temperature compliments the warmer cabinet tones while producing a professional feel. 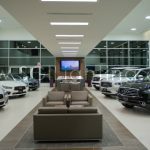 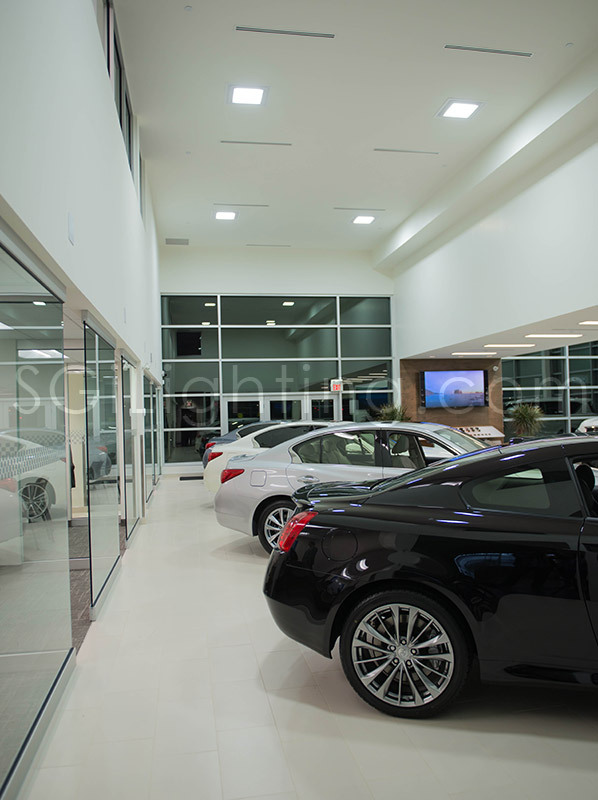 This large space needed lights that were powerful enough to light up the entire room evenly and bright enough to illuminate the display vehicles below. 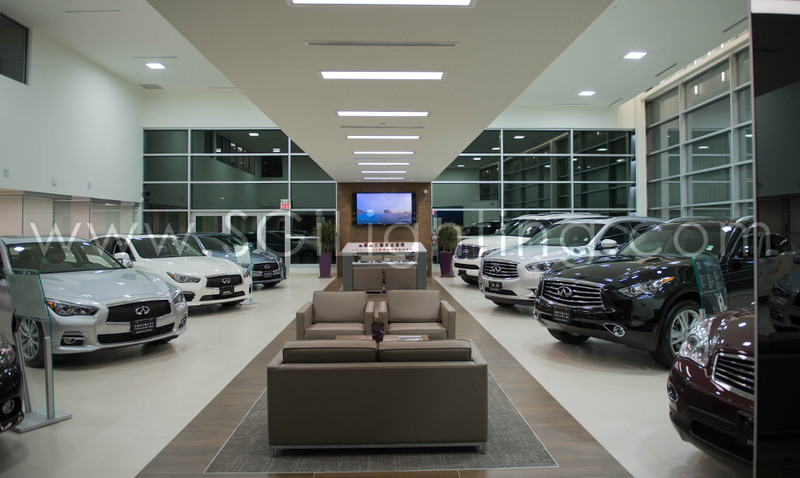 A collaboration of our LED Downlights and LED Panels were installed in the 20 – 30 feet ceilings, and provide a robust radiance that lights up the entire room and the vehicles on display. 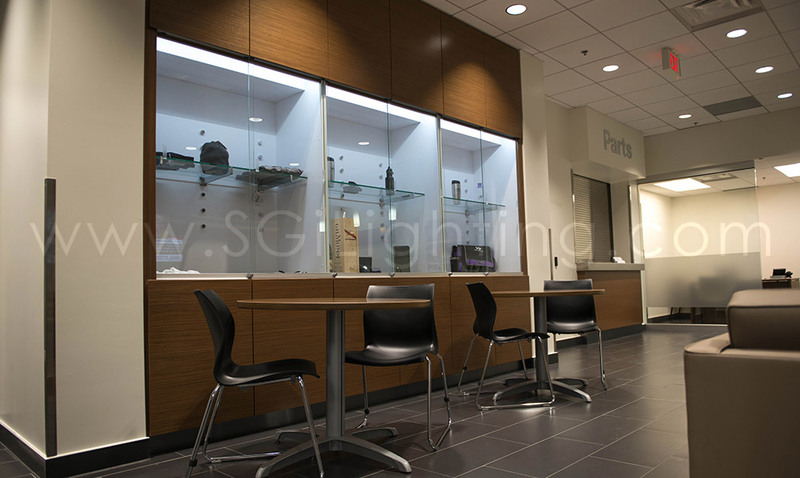 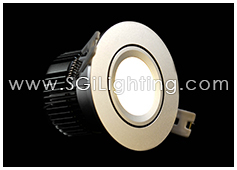 Our LED Downlights are the perfect functional light for commercial places with high ceilings. 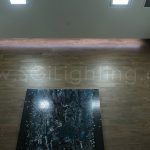 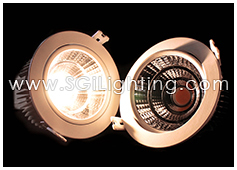 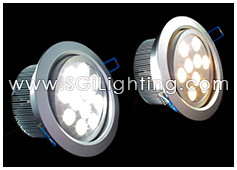 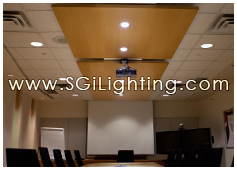 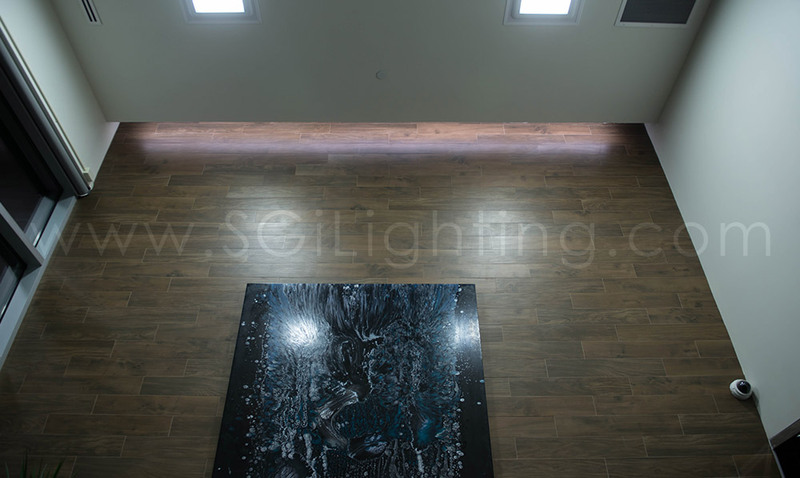 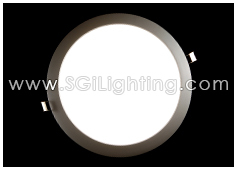 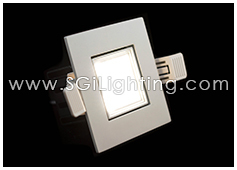 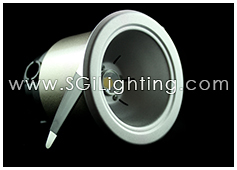 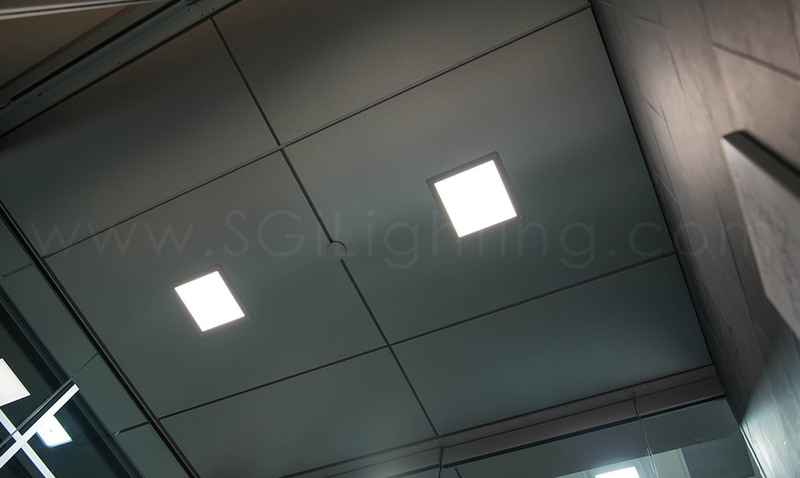 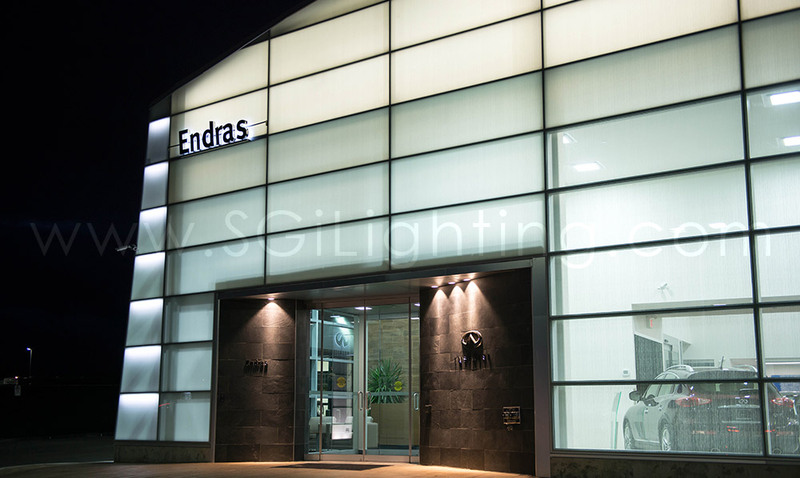 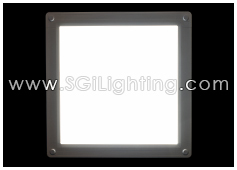 Our LED Square Downlights offer strong illumination with a professional looking design. 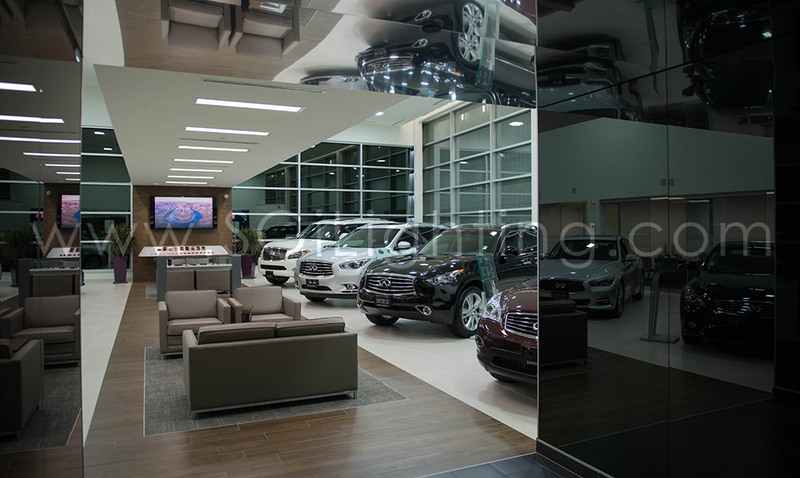 First impressions are always important. 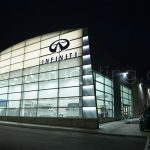 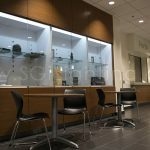 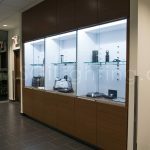 Our Infiniti clients wanted their customers to be greeted into a reception area that looked professional as well as classy. 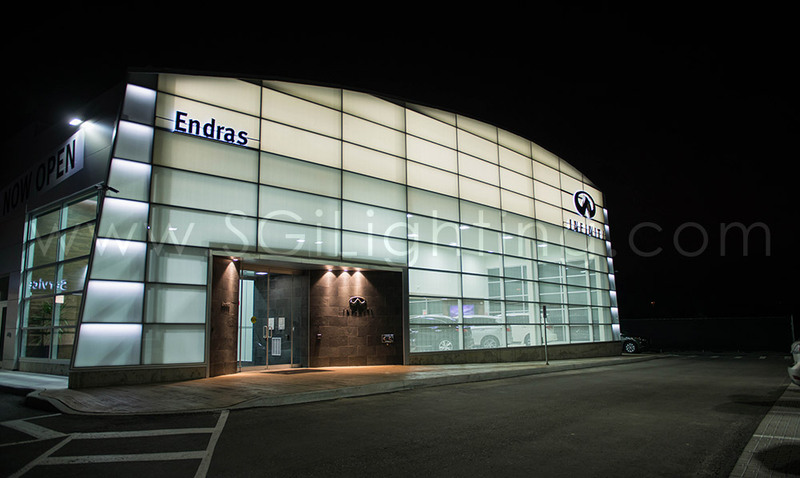 The top cove of the brown tiled wall behind the reception desk is highlighted with a strip of our LED Flex light and the main reception area is illuminated with our functional LED Square Downlight.